A new deluxe concert piano from the SYNTHOGY Ivory II series. KORG Module version 2.7 - now available! The best sounds, available to everyone. Announcing a new high-quality mobile sound module app for iOS! 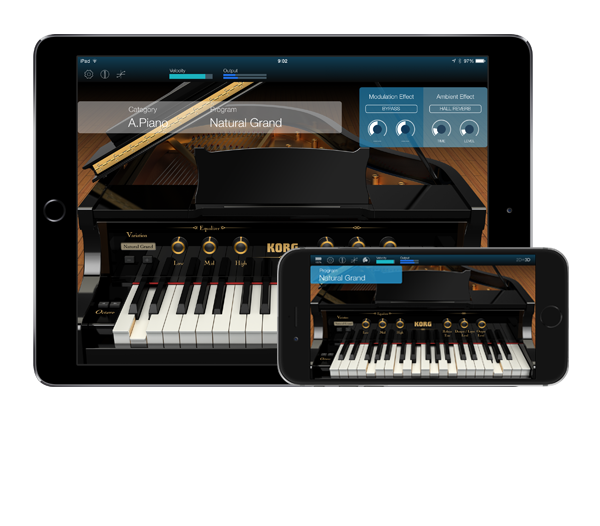 Ideal for performance and music production, KORG Module is a high-quality sound module app for iOS that contains a professional sound library. 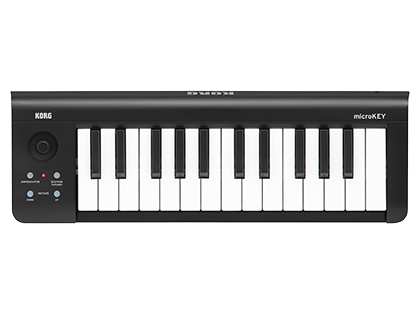 With just your iPad / iPhone and a MIDI keyboard such as the new microKEY, you can play studio-quality keyboard and grand piano sounds anywhere. 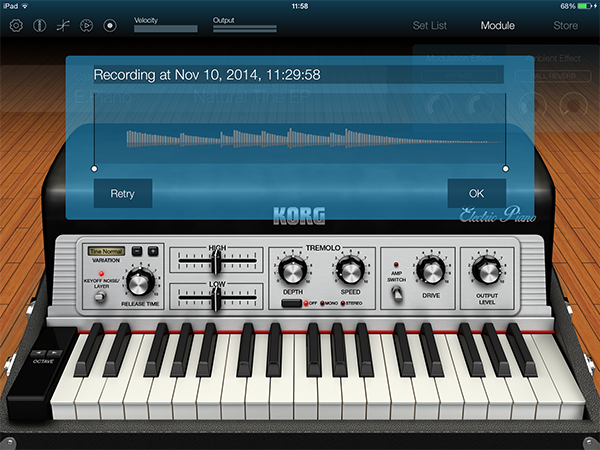 You can also use the sounds of KORG Module for the KORG Gadget music production app. 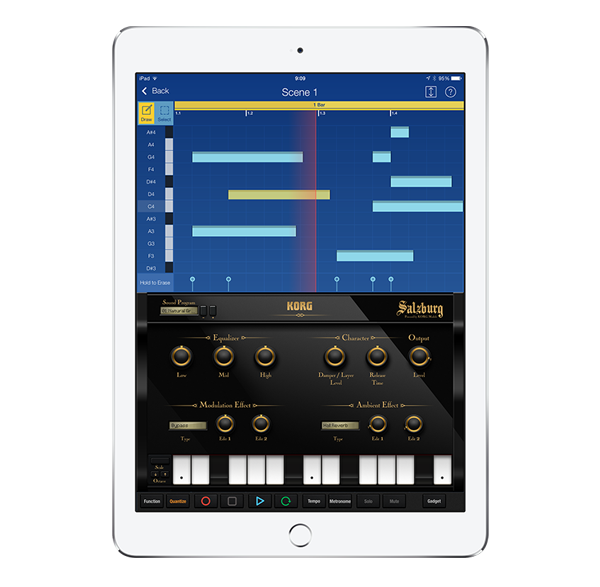 Maintaining its position at the forefront of mobile music apps, KORG now offers you a new style of performance and production with KORG Module for iOS. Click here for YouTube videos featuring KORG Module. 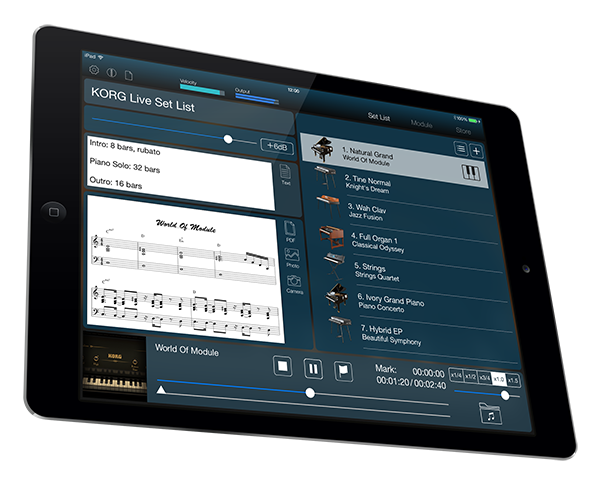 KORG Module has five dedicated sound engines, providing a number of high-quality sounds that can be played back on your iPad / iPhone using the "NATIVE ENGINE”. These engines feature technology that was developed for KORG's historic line of workstations and synthesizers including: Acoustic Piano, Electric Piano, Clav, Organ, and Multi. Each display has carefully selected parameters, making it convenient and easy to adjust the sounds. We’ve also carefully ensured ideal playability and designed the system for ultra-low latency. Once you experience the quality of the sounds being produced from the slim body of your iPad / iPhone, you'll agree that KORG Module is radically different than anything else currently on the market. Click here to see module libraries. 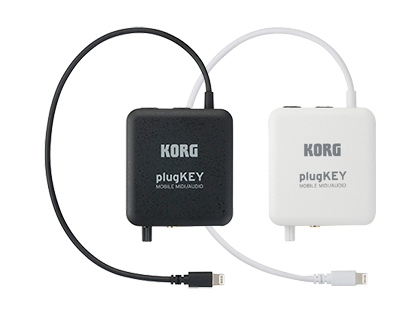 KORG Module and the microKEY are the best possible combination for a mobile performance environment. 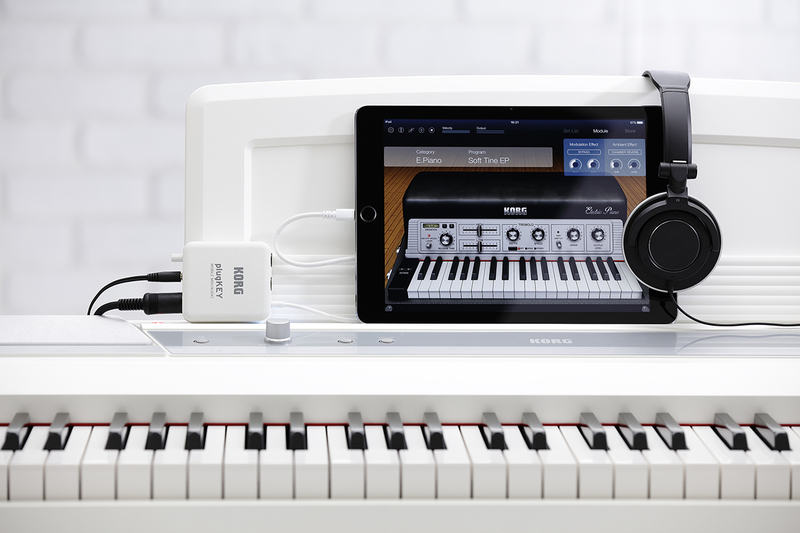 With the new microKEY which supports a damper, or the microKEY Air which provides a wireless connection via Bluetooth MIDI, your iPad / iPhone can transform into a high-quality sound module. In your room, in a practice studio, or performing on stage,, it's easy to set up and immerse yourself in a superb playing experience wherever you are. 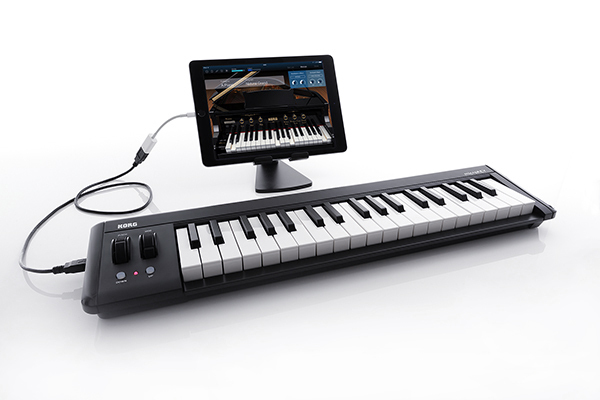 In addition, you can also use any MIDI keyboard with plugKEY mobile MIDI + audio interface (*). The velocity curve function conforms the sound to your playing dynamics, so you'll be able to perform comfortably using any MIDI keyboard. Even if you don't have a MIDI keyboard, you can use the apps on-screen keyboard, phrase function, or MIDI player to play the sounds. The MIDI player can load and play standard MIDI files using the unbeatable sounds of KORG Module for your listening enjoyment. (*) In order to connect a device that uses a USB connector instead of MIDI connector/plugKEY, you'll need a separately sold Apple Lightning -- USB camera adapter. Click here to see KORG MIDI keyboards / interface. 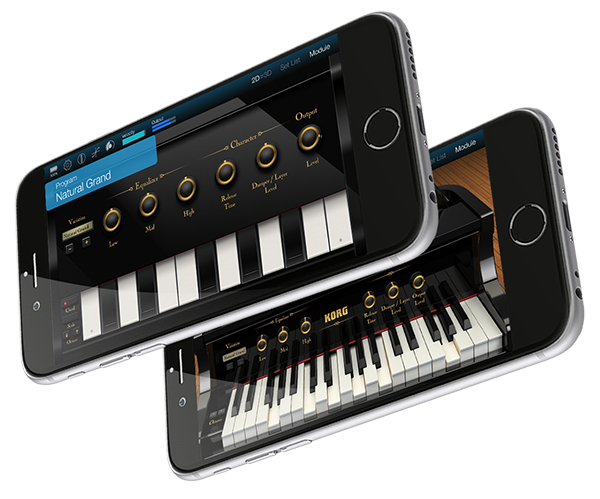 You can also use the high-quality KORG Module sounds inside KORG Gadget, the mobile music production app. If you have KORG Module and KORG Gadget, the five tools Salzburg, Montreal, Alexandria, Firenze, and Glasgow are added inside, allowing access the same way as KORG Gadget. These five powerful gadgets will add even more variety to your music productions, raising your music to the next level. 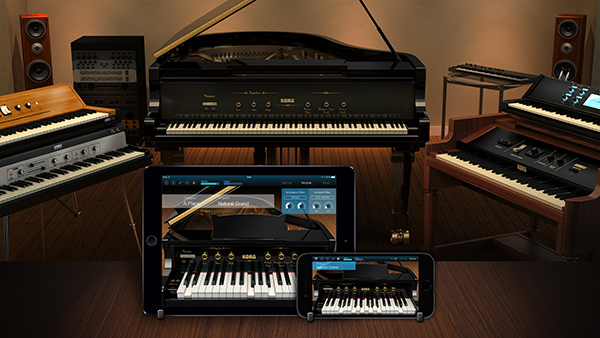 Whether for performance or for production, both of these apps deliver ultimate sound. Click here to see KORG Gadget. The beautiful 3D graphic screen provides an atmosphere that evokes a great playing experience. We've paid attention to details such as the three-dimensional appearance of each module and the reflected highlights of the keyboard. In contrast, the 2D screen (*) features a simple design with excellent visibility and operability, allowing effortless editing even on the compact screen of your iPhone. 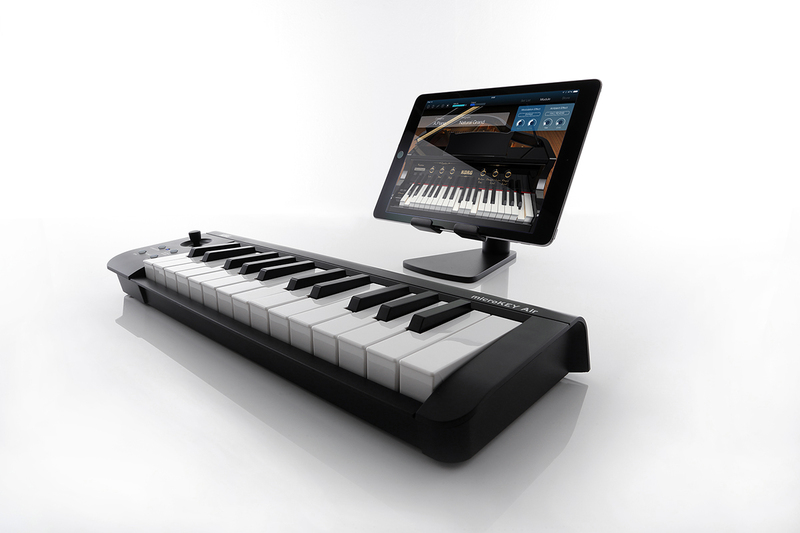 The 2D screen also provides a "smart keyboard" that lets you specify the scale appropriately for the song and also allows you to play chords with just one finger. You can use the interface that's best for your needs. (*) iPad is not supported. KORG Module provides functions you'll find convenient in any environment. The set list function (*) provides unified management of all the settings a player needs; it lets you recall the sounds in the ideal order, view music notation, or hear a practice song. The score viewer can load and display an image or PDF file; eliminating the need to carry along a printed music score.You can use the internal camera of your iPad to record and view hand-written memos. There's also a text edit function that allows the ability to make a note of things to remember during your performance. You can use the music player to select and play a song from the library of the Music app. Since there's a tempo change function, you can slow down the tempo without changing the pitch in order to practice with greater accuracy or to learn a difficult part. (*) When iPhone is used, some functions are excepted. While KORG Module provides a powerful collection of sounds even with its basic set, you can purchase expansion sound libraries to further extend its sonic scope. 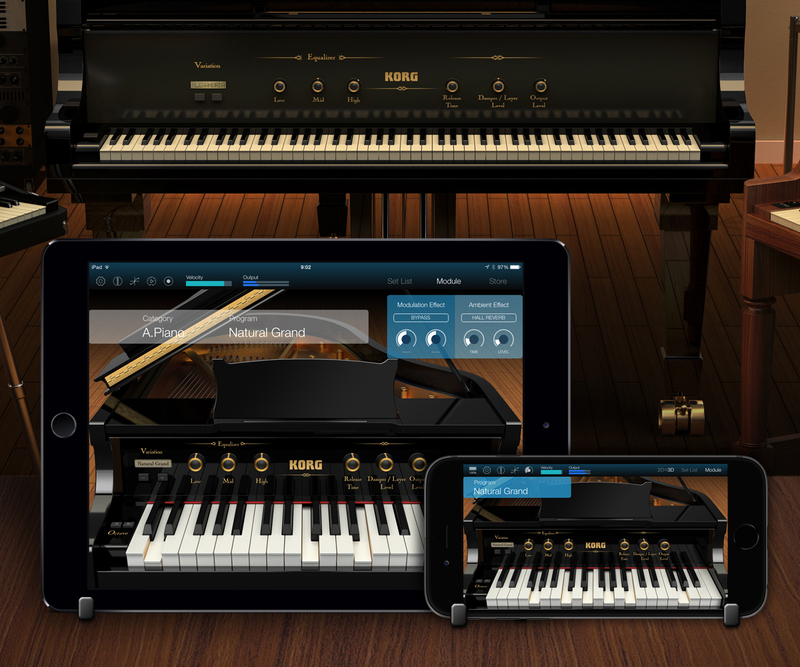 As the first round, we present two titles: the third-party mobile premium piano "Ivory Mobile Grand" from SYNTHOGY, and KORG's own vintage electric piano sound set "Wurley Electric Piano." 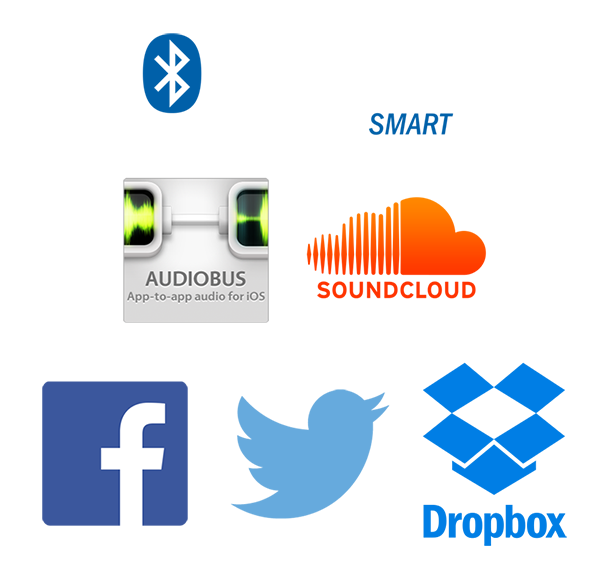 Add sound libraries to enjoy an expanding world of mobile sound modules. The added sound libraries can be used with KORG Gadget as well. 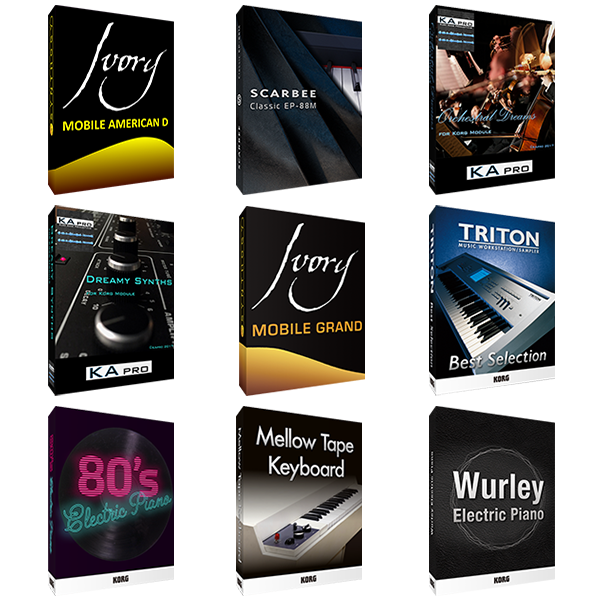 In the latest version, the new expansion sound libraries "TRITON Best Selection", "80's Electric Piano", "Mellow Tape Keyboard", "SCARBEE Classic EP-88M", "KApro Orchestral Dreams", "KApro Dreamy Synths", "Ivory Mobile American D" and "KORG Organ & Clav Collection" have been added. Click here for expansion sound libraries. KORG Module contains a recorder that you can use to practice your own performance or to sketch out your song ideas (*). You can publish your recorded data to users around the world by uploading it directly to the SoundCloud. Since performances can be shared with the best sound quality, you can improve your skill by listening and learning from performances around the world. You can also share your performances with friends via social network sites such as Facebook and Twitter. (*) iPhone is not supported. 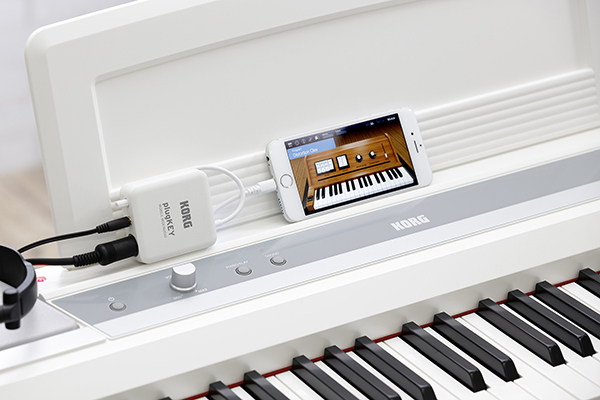 KORG Module supports cutting-edge iOS music technologies such as Bluetooth MIDI, Inter-App Audio, Audiobus, CoreMIDI, and Virtual MIDI. 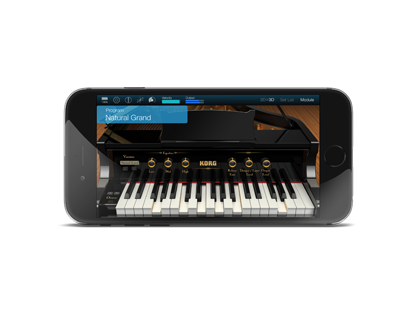 By using Inter-App Audio or Audiobus, you can use KORG Module for other music apps such as GarageBand. Other cutting-edge mobile technologies are also provided to enhance your performance. To help users sample and understand the KORG Module, we've provided "KORG Module Le," a free lite version for download. Although there are some limitations, it's the easiest way to experience high-quality piano sound. The sounds and functions are expanded (*1) if you use "KORG Module Le" with KORG Controller products (*2) or Interface product like new microKEY, microKEY Air, plugKEY. (*1) Please refer to the specifications page for a comparison chart of KORG Module versions. (*2) Please refer to KORG Software Bundle page for the products list. KORG Module's standard sounds for iPhone. 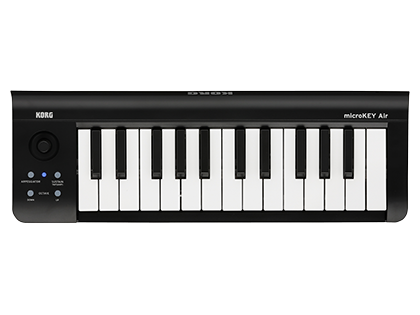 A simple MIDI keyboard that's ideal for iPad or iPhone. 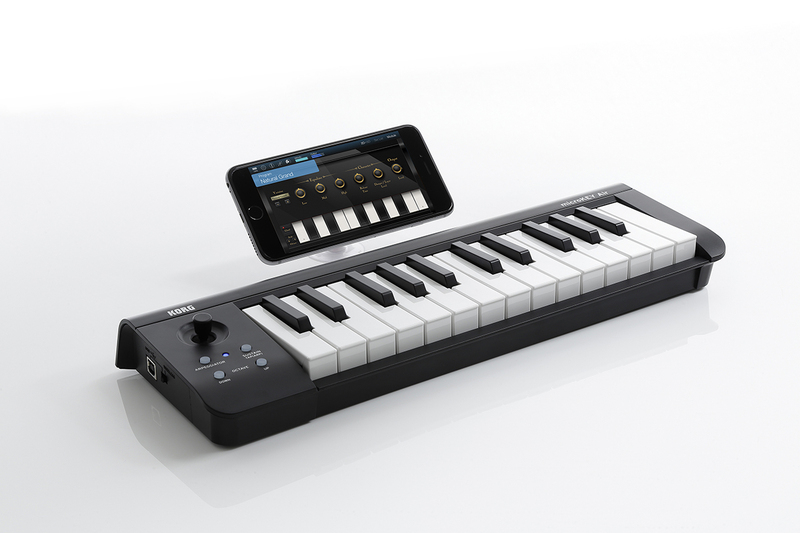 A mobile MIDI + audio interface that lets you play your iPhone/iPad using any MIDI keyboard. 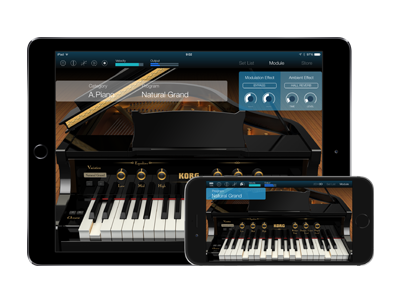 Register for the KORG app News Letter so that you won't miss the latest news and information about KORG Module for iPad. KORG Module is available for download purchase from the Apple App Store.